Thorbj?rn Svenssen (22 April 1924 – 8 January 2011) was a Norwegian footballer, who played a record 104 international games for Norway, and captained the side 93 times. Svenssen was a tall and strong central defender who played his entire career for his hometown team Sandefjord. At club level, Svenssen played 22 seasons for Sandefjord, but never won any major trophies (Sandefjord finished second in the league in 1955–56). 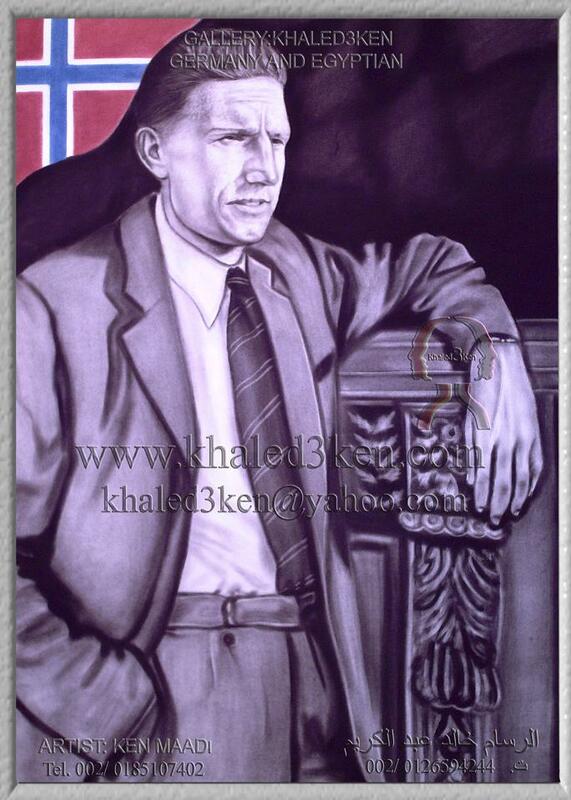 However, he did play twice in the Norwegian cup final (1957 and 1959), finishing on the losing side both times. His steady and solid play at the back earned him the nickname "Klippen" ("The Rock"). Svenssen made his international debut on 11 June 1947, in a friendly against Poland. He remained virtually ever-present in the national side throughout the next decade and a half. He was named captain in his 12th international (a friendly against Egypt on Christmas Eve 1948), and kept the captain's armband throughout the rest of his international career. Svenssen won his 100th cap against Denmark on 17 September 1961. At the time, Svenssen was only the second player in the history of football to reach 100 international appearances. The first was Billy Wright, who reached the milestone in October 1958. Svenssen's 104th and final cap came in a 2-1 win against the Netherlands on 16 May 1962. Rune Bratseth (born 19 March 1961) is a former Norwegian footballer who played as asweeper. Nicknamed Elk due to his long stature, he is best known for his spell with SV Werder Bremen, also having appeared in the 1994 FIFA World Cup with Norway, its first since 1938, at the age of 33. Born in Trondheim, Bratseth started his career at local club Rosenborg BK. There, he would only be a part-time professional, until he left for Germany's SV Werder Bremen in January 1987, for a mere €93.000. He was immediately cast into the starting XI, making his club debut in a 1–5 loss at 1. FC Nuremberg, on 21 February, after the winter break; he would also win the first of his two national championships in his first full season. Bratseth's finest moment came when Werder won the UEFA Cup Winners' Cup in1991–92, in a 2–0 victory against AS Monaco FC. During the campaign, he played in eight (out of nine) complete matches, managing to add two goals (in both legs againstRomania's FCM Bac?u). After a second league title with Bremen, Bratseth began suffering knee problems, even needing injections to play. After only one match in 1994–95, he called it quits, at 34, having amassed 230 league matches, with 12 goals, in eight and a half professional seasons. In the 1993–94 UEFA Champions League, Braseth was on the scoresheet at the incredible 5–3 home win against R.S.C. Anderlecht; the Belgian led 3–0 with 25 minutes to go, and he helped to the final comeback with the 2–3. Bratseth was named Norway's Golden Player – the best Norwegian footballer of the past 50 years by the Norwegian Football Association, in November 2003, to celebrate UEFA's Jubilee. Subsequently, he became chairman and general manager of Rosenborg, forming a successful partnership with coach Nils Arne Eggen. The club maintained its domestic superiority in the following years. Bratseth was actually registered as a player when he started his job at Rosenborg, and since the club did not have 25 players in its first team squad to be registered for the Champions League, he was included as a backup. Even though he did not want to play, he agreed to sit on the bench for one game in case of "emergency". He was manager of Rosenborg between 10 June and 8 November 2006, leaving his post to Knut Torbj?rn Eggen, Nils Arne's son. 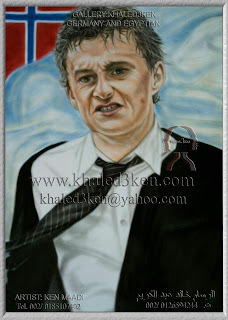 Ole Gunnar Solskj?r (born 26 February 1973) is a Norwegian former footballer, who spent most of his career playing for Manchester United, mainly as a striker, but also as a winger. He is now a football manager, currently in charge of Molde. 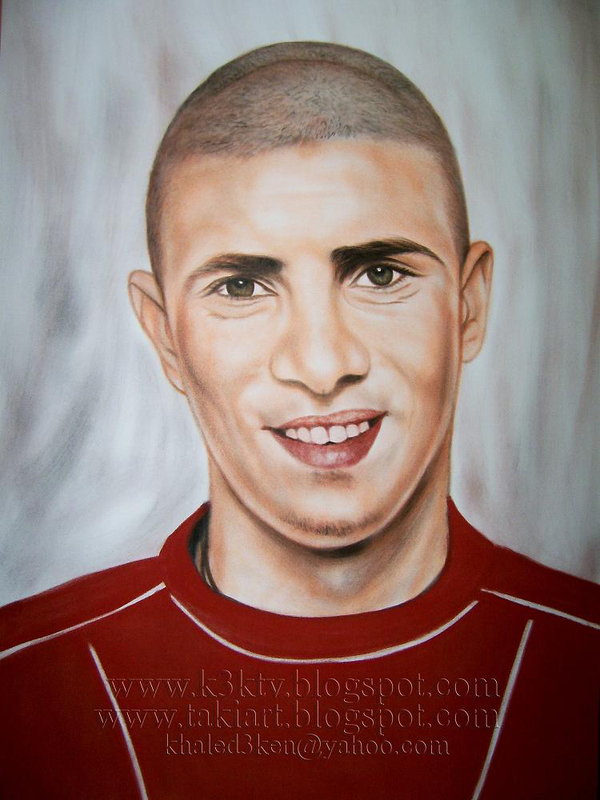 Before his arrival in England, Solskj?r played for the Norwegian clubs Clausenengenand Molde. He joined Manchester United in 1996, for a transfer fee of £1.5 million. Nicknamed "the Baby-faced Assassin", he played 366 times for United, and scored 126 goals during a successful period for the club. He was regarded as a "super sub" for his trait of coming off the substitute bench to score late goals. Solskj?r's defining moment in football came in injury time of the 1999 UEFA Champions League Final, where he scored the winning last-minute goal against Bayern Munich, completing a remarkable comeback and winning The Treble for United. In 2007, Solskj?r announced his retirement from football, after failing to recover from a serious knee injury. However, he remained at Manchester United in a coaching role, as well as in an ambassadorial capacity. In 2008, Solskj?r became the club's reserve team manager. He returned to his native country in 2011 to manage his former club, Molde, whom he led to their first ever league trophy in 2011 and a second league trophy in 2012.
before signing the same year with Norwegian Third Division sideClausenengen. Solskj?r impressed in the Otta Cup as a 17-year-old with seventeen goals in six matches. He spent five years playing for the club, averaging more than a goal a game over the period. Solskj?r scored 31 of Clausenengen's 47 goals in the 1994 Norwegian Second Division. After the end of the 1994 season, he was signed by ?ge Hareide, manager of the Norwegian Premier League side Molde FK, for a fee of NOK200,000. In his first season at Molde, he scored 20 goals in the 1995 Norwegian Premier League. 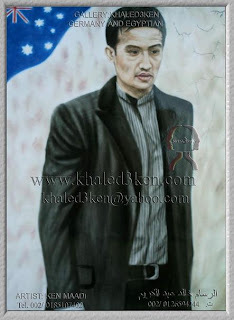 Timothy Filiga "Tim" Cahill (born 6 December 1979) is an Australian football (soccer) player who plays for the New York Red Bulls of Major League Soccer and the Australian national football team. Prior to joining New York he played his club football in England, for Millwall and then Everton. Cahill plays as an attacking midfielder, but has also played as a forward on several occasions. A box-to-box midfielder, Cahill has become recognised for "his direct and powerful approach and his late runs into the penalty area. Cahill has become one of the highest profile footballers in the Asian Football Confederation, earning 60 caps and scoring 26 goals for his country. He scored the first goal by an Australian at a World Cup, and has also scored the most goals by any Australian in the World Cup. In 2007, he also became the first Australian player to score at an Asian Cup. Cahill is known for his adept heading ability, remarkable leap despite his height, and scoring the majority of his goals with his head. Cahill was born in Sydney, New South Wales to a Samoan mother and an Englishfather of Irish descent and was encouraged to play football as a child. As a youngster, Cahill played football for Balmain Police Boys Club, Marrickville Football Club and Plumpton/Oakhurst Soccer Club. He attended Bexley North Public School, Tempe High School and Kingsgrove North High School. Manfred Schaefer (born 12 February 1943 as Manfred Sch?fer) is a formerassociation football defender. At club level he won titles with St. George Budapest. With the Australian national team he participated in the 1974 World Cup in his native Germany. 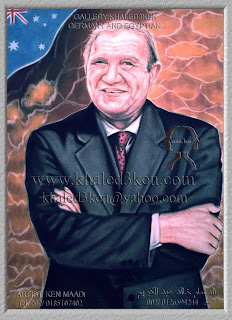 As coach he was several times runner-up in the AustralianNational Soccer League with various clubs. Schaefer was born in Pillau (now Baltiysk, Russia) near Kaliningrad in East Prussia, Germany. After growing up in post-war Bremen he migrated in 1957 with his family to Australia aged 14. Legendary was Manfred Schaefer's occupation as milkman, a profession that became almost extinct by the mid 1980s. Every morning he delivered fresh milk to households in the suburbs and walked, respectively run enormous lengths in the course, to which his extraordinary physical fitness was often attributed. Schaefer was called up for the national team for the first time in the first match of the Vietnam National Day tournament on 5 November 1967, which Australia won in Saigon against New Zealand 5-3. In total he played 73 times in the colours of Australia, 49 times in official international matches in which he scored one goal. His last three matches for Australia were 1974 World Cup, against East Germany,West Germany and Chile. He also represented New South Wales in interstate matches. Frank Farina OAM (born 5 September 1964 in Darwin, Northern Territory) is a former Australian football (soccer) player, and manager A-League club Sydney FCand the Papua New Guinea national football team. His playing career spanned Australia, Belgium, France, Italy and England, and was a major player for the Australian National Team in the late 1980s and 1990s, as well as managing the national team in the early 2000s. Farina spent part of his childhood in Papua New Guinea and grew up in Cairns, north Queensland and went to school at St Augustine's College. He won a prestigious position and scholarship at the Australian Institute of Sport (AIS) in 1982 and played in the National Soccer League for the Canberra Arrows the following year. Farina's early playing career was spent in Australia, playing the National Soccer League. He played for the Canberra Arrows, Sydney City and Marconi-Fairfield. His early seasons were solid, scoring just under 10 goals a season for Canberra in the 1983 and 1984 season. He made his full international debut as a substitute in Australia's 2–3 loss in China in 1984. Farina moved to Sydney City in 1985, and that season City made the 1985 NSL Grand Final, losing 2–0 over 2 legs to Brunswick, as well as winning the 1986 National Cup. Farina then moved to Marconi Fairfield for 1987 and 1988, where his form and ability flourished, scoring 16 and 17 goals respectively. This form led to him cementing a position in the Australian National Team, won him the 1987 NSL Player of the Year, the 1988 NSL Golden Boot and finally the 1988 Oceania Player of the Year awards as well as attracting overseas interest. 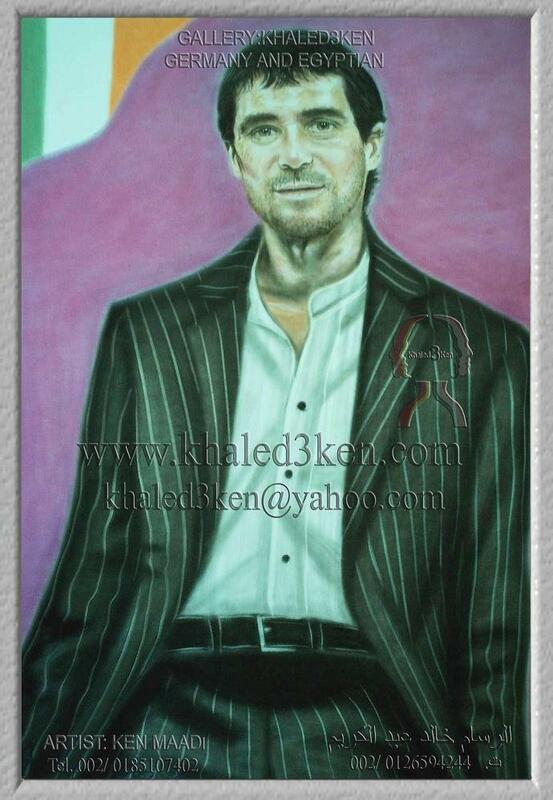 Roy Maurice Keane (born 10 August 1971) is an Irish former footballer andmanager. In his 18-year playing career, he played for Cobh Ramblers,Nottingham Forest, and Manchester United, before ending his career at Celtic. Keane was a dominating central-midfielder, noted for his aggressive and highly competitive style of play, an attitude which helped him excel as captain of Manchester United from 1997 until his departure in 2005, having joined the club in 1993. Keane helped United achieve a sustained period of success in more than 12 years at the club. He then signed for Celtic but retired as a player less than a year later.He played at international level for much of his career, representing the Republic of Ireland over a period of 14 years, most of which he spent as captain. He played in every Republic of Ireland game at the 1994 FIFA World Cup, although he left the 2002 World Cup after an incident with national coach Mick McCarthy.He was appointed manager of Sunderland shortly after his retirement as a player, and took the club from 23rd position in the Football League Championship in late August to win the division title and gain promotion to the Premier League. Keane's arrival was cited as the catalyst for Sunderland's recovery.He managed to keep Sunderland from relegation in the 2007–08 season, but in his second season as a top-flight manager he left his position with Sunderland in the relegation zone.In April 2009, he was appointed as manager of Ipswich Town, but was sacked by the club in January 2011 with them 19th in the Championship. Stephen "Steve" Staunton (born 19 January 1969) is an Irish association football manager and former professional footballer, who was most recently manager of Darlington. He earned 102 caps for the Republic of Ireland national football team, captained his team to the knock-out stage of the 2002 FIFA World Cup and earned his place in the FIFA Century Club. Staunton enjoyed a distinguished club career with Aston Villa and Liverpool. After retiring, he served as Republic of Ireland national team coach prior toGiovanni Trapattoni. Born in Drogheda, Ireland, Staunton was an accomplished all-round sportsman. He lived in Dundalk County Louth, and attended the De La Salle College Dundalk. As well as playing soccer for his home club of Dundalk, he played Gaelic football, appearing for Louth's U-16 team. He also played for the his local team St. Domnics underage. Mustapha Hadji (born 16 November 1971 in Ifrane Atlas-Saghir, Morocco) is a former Moroccan footballer. Hadji began playing football in France. He signed his first contract with AS Nancywhere he spent his first season as a youth player before joining the senior squad in his second year with the club. After playing five seasons for AS Nancy, Hadji joined Sporting and then Deportivo, but it was with Coventry City where he became well known, especially in Britain. After an impressive 1998 FIFA World Cup, where Hadji scoring a memorable goal against Norway, he became much sought after, especially after being named African Footballer of the Year in 1998. He was signed a year later by Gordon Strachan forCoventry. 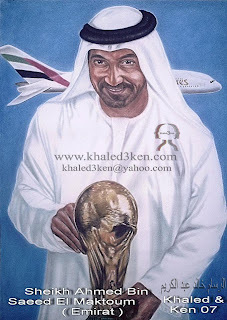 Hadji has since played for Al Ain FC in United Arab Emirates where he remained for one year before returning to Europe with 1. FC Saarbrücken of Germany in 2005, where he signed a two year contract In August 2007, Hadji signed for CS Fola Esch, a team currently playing in the Luxembourg's first-tier BGL Ligue He ended his playing career in July 2010. 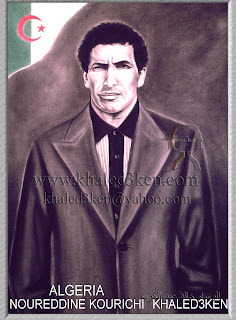 At the 1994 FIFA World Cup, Hadji played in all three group games for Morocco, two as substitute. In Morocco's third game against theNetherlands, Hadji setup the equalizer for Hassan Nader with his first touch after coming on as substitute. Despite this, Morocco lost all three games and were eliminated. He scored a brilliant goal in Morocco's 2–2 draw with Norway in the 1998 World Cup, Hadji was named African footballer of the year after a brilliant world cup in France. He played in 13 FIFA World Cup qualification matches. 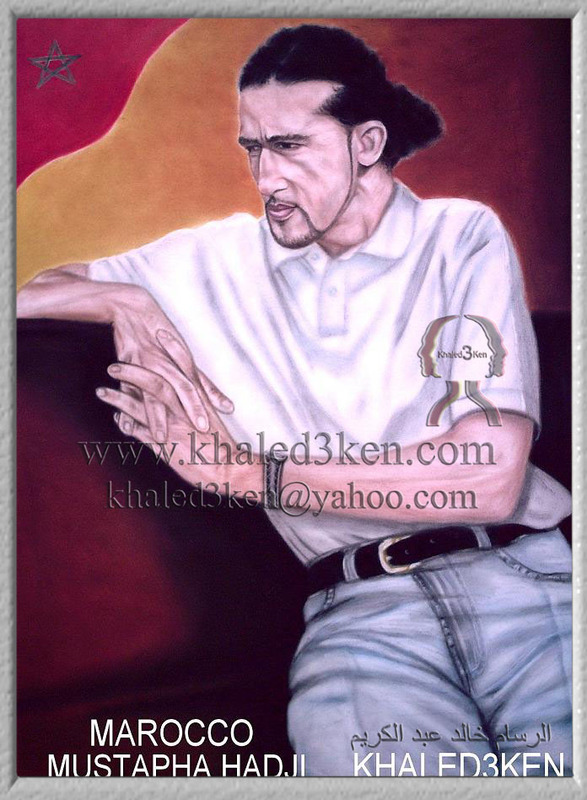 Al-Saadi Gaddafi (Arabic: الساعدي معمر القذافي‎; born 25 May 1973), is the third son of former Libyan leader Muammar Gaddafi. 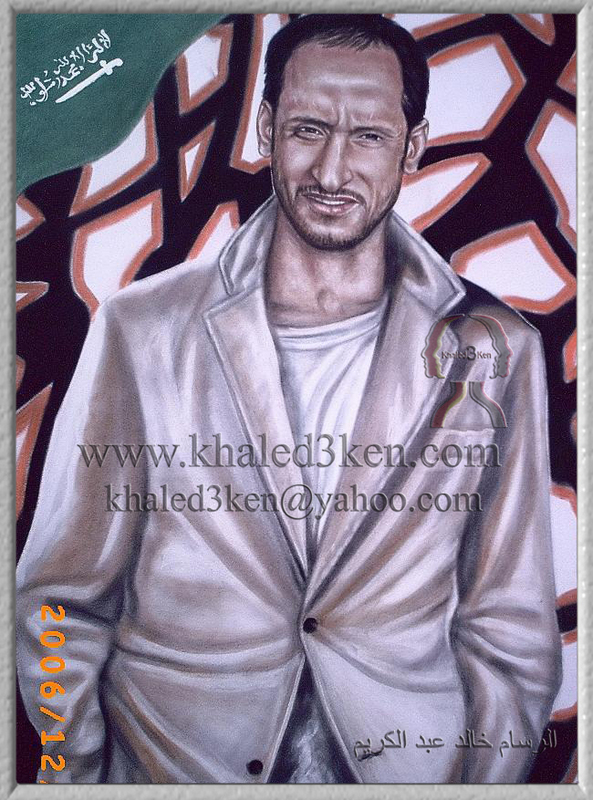 He is a Libyan former football player. 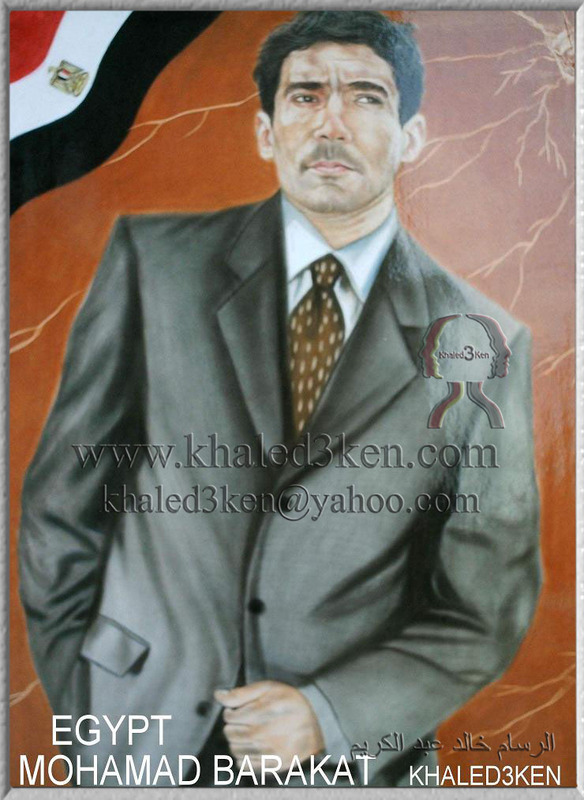 In 2011, he was the commander of Libya's Special Forces and was involved in the Libyan civil war An Interpol notice (red notice) has been issued against him. 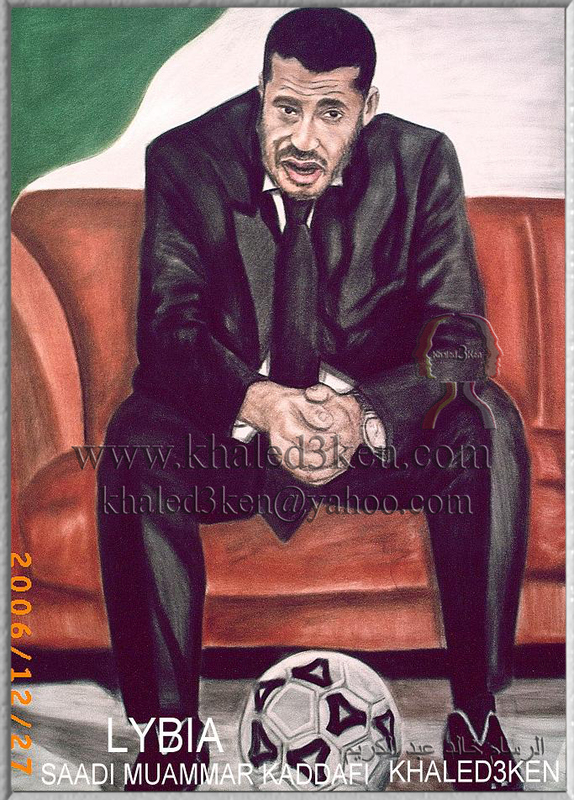 Saadi was a part of his father's inner circle Gaddafi is known for his involvement in Libyan football. On 6 June 2000, the BBC reported that Gaddafi had signed with Maltese champions Birkirkara F.C. and would play for them in the Champions League. 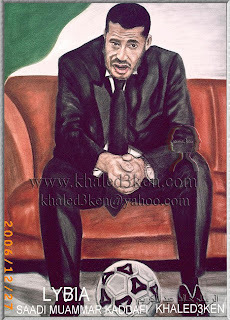 The move failed to materialize.Libyan football was arranged to favor Saadi. One law forbade announcing the name of any football player with the exception of Saadi. Only numbers of other players were announced. Referees favored Saadi's club and security forces were used to silence protests.He signed for Italian Serie A team Perugia in 2003, employing Diego Maradona as his technical consultant and Canadian sprinter Ben Johnson as his personal trainer. He made only one substitute appearance before failing a drug test. 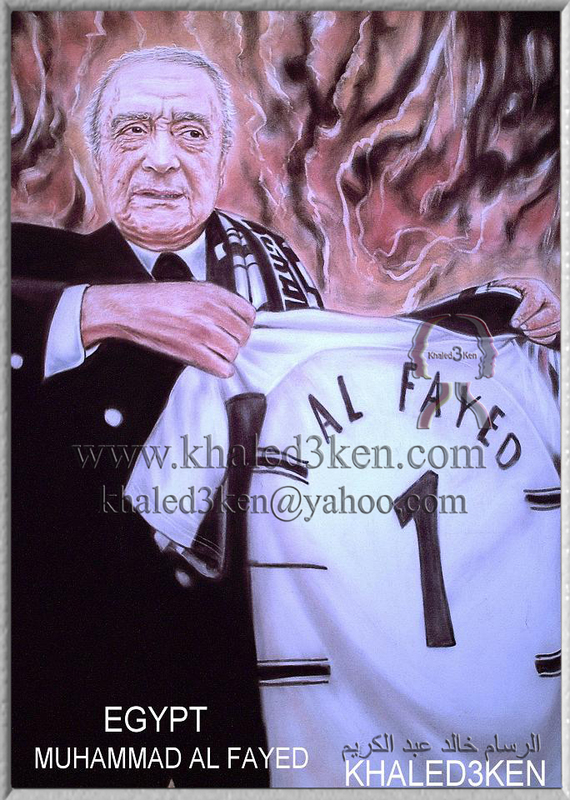 He was formerly on the board of the Italian team Juventus, of which 7.5% is owned by a Libyan consortium,[when?] but stepped down to join Perugia. "Even at twice his current speed he would still be twice as slow as slow itself. 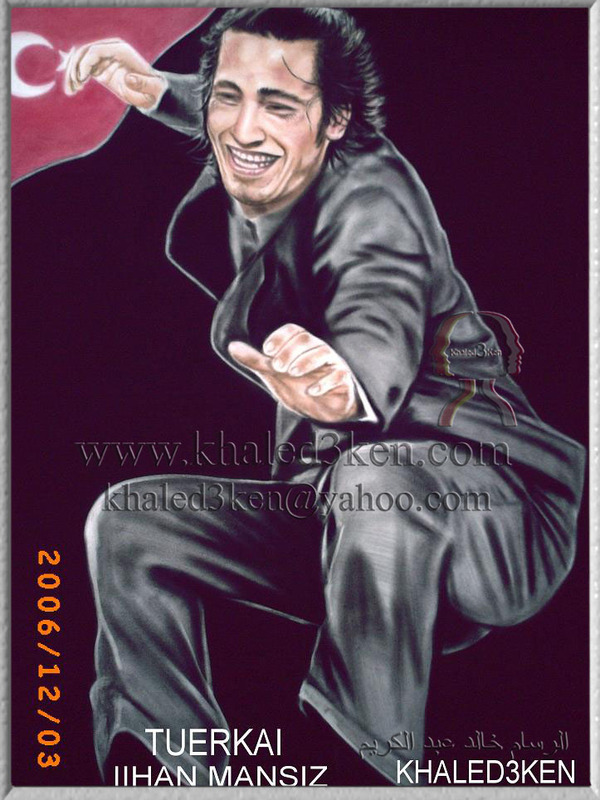 "—Analysis in la Repubblica after his brief appearance for Perugia.He was also captain of the Libya national football team, captain of his home club in Tripoli, and president of the Libyan Football Federation.Gaddafi joined UEFA Champions League qualifiers Udinese Calcio in 2005–06, playing only ten minutes in an end-of-season league match against Cagliari Calcio.He joined U.C. Sampdoria during season 2006–07, without playing a single match. 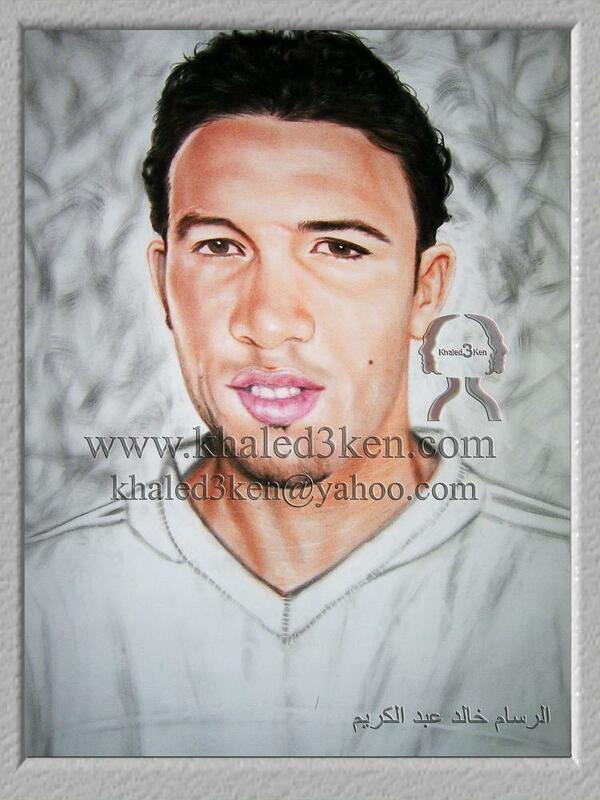 Mohamed Barakat (Arabic: محمد بركات‎) (born November 20, 1976) is a Egyptianfootballer. Barakat plays the offensive right wing for Egypt's Al-Ahly and the Egyptian National Team. He is a right-footed attacking midfielder and playmaker. He is considered by many as one of the most talented players in Africa nowadays. Barakat's hallmarks are surging runs from midfield which often disrupt opposing defences as well as a box-to-box work ethic which makes him an important figure both in defence and attack. 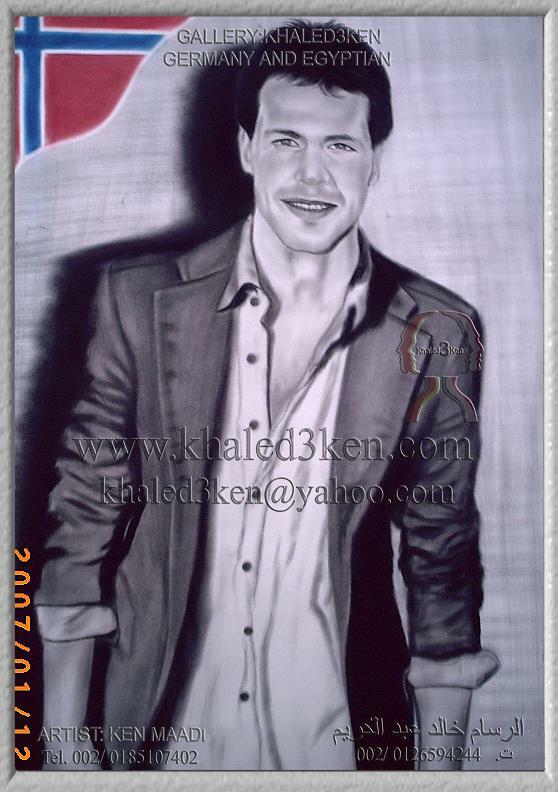 Thanks to his noticeable achievements and talent, his fans have given him the nickname "Blessings , The Mercurial" (Arabic: بركات الزئبقي‎) . He reached his peak in 2005 and 2006, helping his club Al-Ahly to win the CAF Champions League 2005 and CAF Champions League 2006 and Egypt win their fifthAfrican Cup of Nations Egypt 2006. However, in 2006 his career was marred by a long spell of injuries. 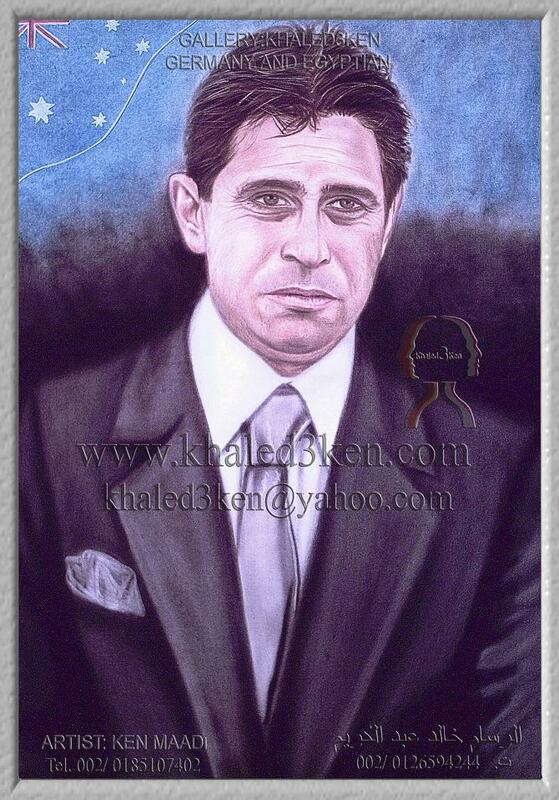 Amer Taher Abouzeid El Sayed (Arabic: عامر طاهر أبو زيد السيد) born 1 April 1962, is a retired Egyptian footballer. 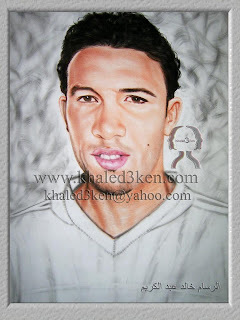 He played as a midfielder for El-Ahly and the Egyptian national team. Abouzaid made several appearances for the Egypt national football team, including participating in the 1984, where he was top scorer with 4 goals, 1986 where he scored three valuable goals. In 1988, he was excluded from the Egyptian national team squad competing in the African Cup of Nations. He also played in the 1990 FIFA World Cupfinals. 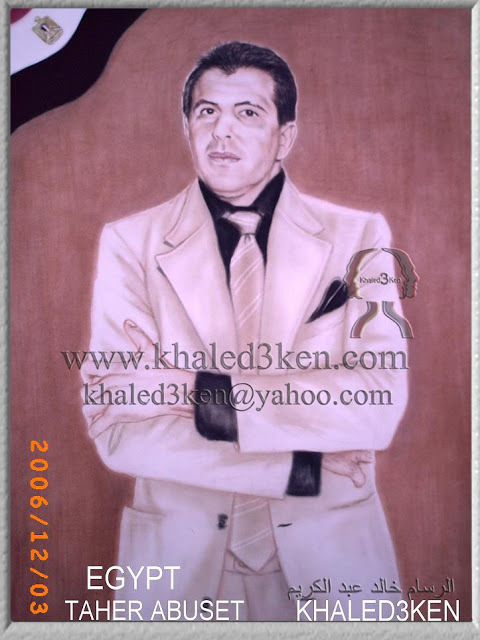 Abouzaid also played for Egypt at the 1984 Summer Olympics. 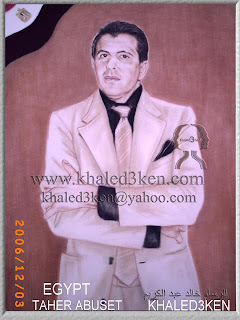 He was on the El-Ahly's board of directors. Albert Camus (French: [alb?? 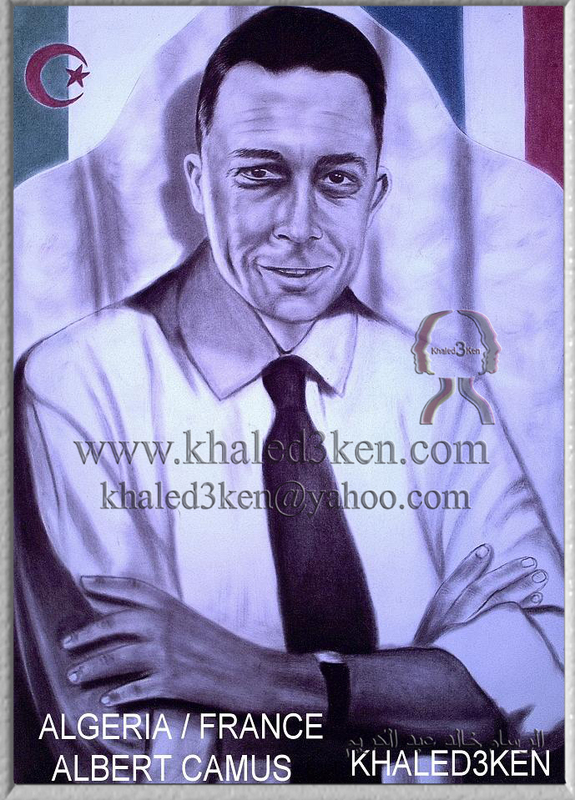 kamy] 7 November 1913 – 4 January 1960) was a French Pied-Noir author, journalist, and philosopher. His views contributed to the rise of the philosophy known as absurdism. He wrote in his essay "The Rebel" that his whole life was devoted to opposing the philosophy of nihilism while still delving deeply into individual freedom. Although often cited as a proponent of existentialism, the philosophy with which Camus was associated during his own lifetime, he rejected this particular label. In an interview in 1945, Camus rejected any ideological associations: "No, I am not an existentialist. Sartre and I are always surprised to see our names linkedIn 1949, Camus founded the Group for International Liaisons within the Revolutionary Union Movement after his split with Garry Davis's Citizens of the World movement, of which the surrealist André Breton was also a member. The formation of this group, according to Camus, was intended to "denounce two ideologies found in both the USSR and the USA" regarding their idolatry of technology.Camus was awarded the 1957 Nobel Prize for Literature "for his important literary production, which with clear-sighted earnestness illuminates the problems of the human conscience in our times". He was the second-youngest recipient of the Nobel Prize in Literature, after Rudyard Kipling, and the first African-born writer to receive the award.He is the shortest-lived of any Nobel literature laureate to date, having died in an automobile accident just over two years after receiving the award. Noureddine Kourichi, né le 12 avril 1954 à Ostricourt (Nord), est ancienfootballeur franco-algérien. Révélé à Mantes, ce joueur de grande taille (Il mesure 1m92 pour 87 kg) évolue au poste d'arrière central à Valenciennes à partir de 1976. Arrivé comme stagiaire, il est très vite remarqué par ses qualités défensives de rigueur et d'agressivité. Il brille par son jeu de tête et ses tacles appuyés. Il passe professionnel l'année suivante dans le club nordiste et est repéré par les dirigeants de l'équipe nationale d'Algérie. Il est alors sélectionné le 28 décembre1980 pour un match de qualification de Coupe du Monde (Soudan-Algérie, 1-1). En 1981, il rejoint l'équipe des Girondins de Bordeaux et poursuit parallèlement sa carrière internationale. Il participe au mondial 1982 en Espagne, dont le match resté célèbre, Algérie-Allemagne (2-1). En juillet 1982, il rejoint Lille où il reste quatre saisons. Avec l'Algérie, «la tour défensive lilloise» est demi-finaliste de la CAN en 1984, et participe encore à la Coupe du monde en 1986. Noureddine Kourichi compte 250 matchs professionnels en France pour 18 buts. Il participe au grand Jubilé Roger Milla en 1988 au Cameroun. Titulaire du diplôme d'entraîneur depuis 2002, il entraîne notamment l'équipe B duParis FC. Depuis 2006, il dirige les joueurs du Football Club Mantois 78 qui évolue en CFA2. 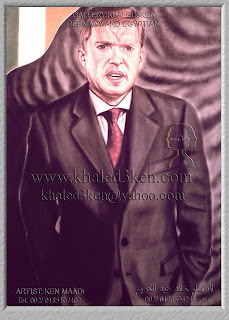 Le 1er Juillet 2011, il devient l'adjoint de Vahid Halilhod?i? à la tête de la sélection algérienne. Sayed Mohamed Adnan (Arabic: سيد محمد عدنان‎; born February 5, 1983) is aBahrani footballer.On 17 July 2011, it was reported in the Australian media that Adnan was on trial with 2010-11 A-League Champions Brisbane Roar.On 16 August 2011, he signed a one-year contract with the club. Adnan scored his first goal for Brisbane from a free-kick against Sydney FC.On 9 July 2012, it was announced that Adnan would not be extending his contract with Brisbane and that he would return home to his family in Bahrain.On 28 July 2012, it was reported on the Al Arabi Sporting Club website that Adnan signed a one-year deal worth $500,000USD to play for the Kuwaiti Premier LeaguesideOn 5 April 2011, along with members of the Bahrain national football team A'alaand Mohamed Hubail, Sayed Mohamed Adnan was arrested by the Bahraini authorities, who claimed that the footballers had taken part in "illegal, violent protests". 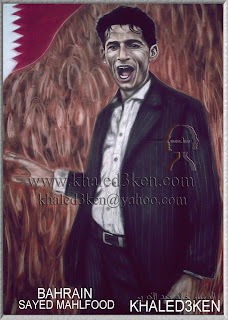 Local human rights activists maintained that the three footballers, together with more than 150 other sportsmen, women and administrators, had been targeted for punishment because they had been involved in protests against the government.On 23 June, it was announced that Mohamed Hubail had been secretly tried and sentenced to two years in prison by the Bahraini special security court established under the martial law regime imposed in March 2011. On 24 June FIFA, the world football governing body, announced that it had asked the Bahraini football authorities to provide information about cases of players detained during political protests.Following allegations of government interference in the sport after Mohammed Hubail's prison sentence and the suspension of over 150 athletes, coaches and referees for taking part in anti-government protests, Bahrain faced a ban from world soccer. Suspension by FIFA could prevent Bahrain participating in Asian Olympic Games qualifying round matche.According to the Office of the United Nations High Commissioner for Human Rightsin Geneva, the trials appeared to bear the marks of political persecution and there were serious concerns that the due process rights of the defendants were not respected. 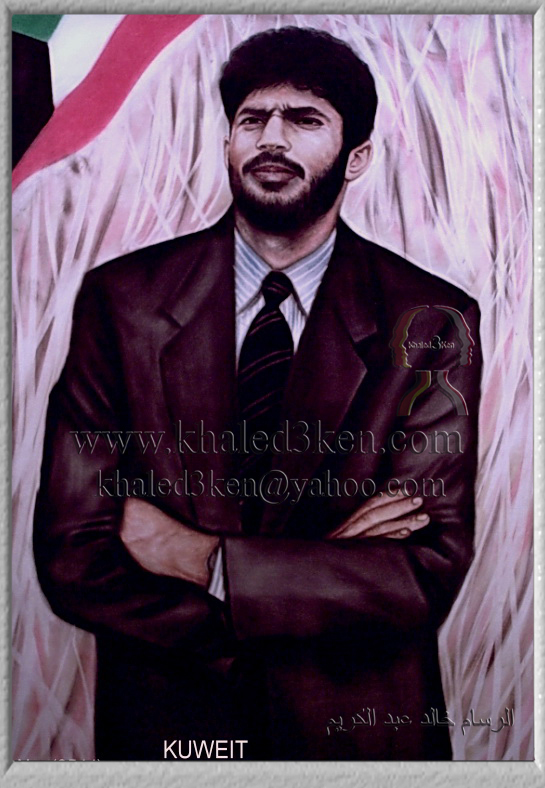 On 29 June 2011 the Bahrain News Agency reported that the Bahrain Defence Force military public prosecutor had announced that "defendants involved at medical and sport crimes" had been released, but trials would continue in accordance with Bahraini legal procedures.